Located on Main Street, Niedlov’s bakery offers breakfast and lunch, as well as a full range of retail baked goods. A centerpiece of Chattanooga’s Southside, The Flying Squirrel provides a truly unique bar and restaurant experience. 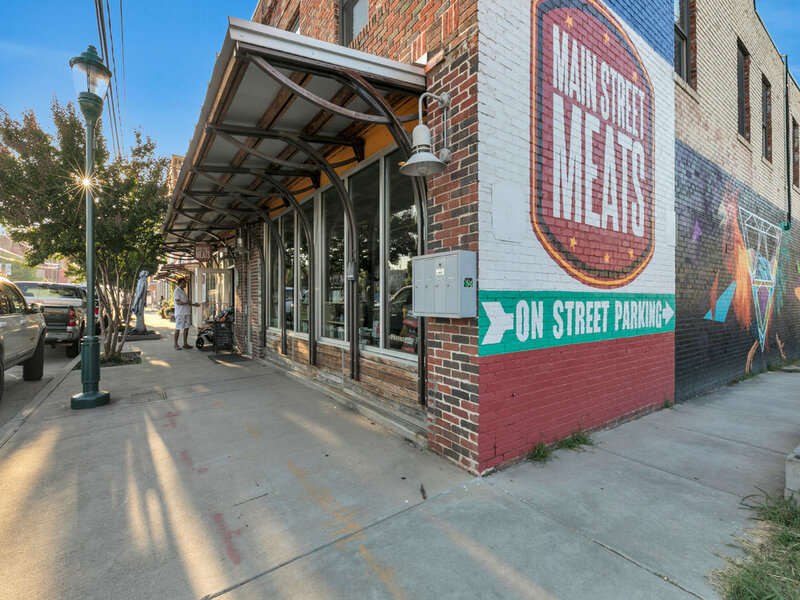 A full-service bar and restaurant—and butcher shop—Main Street Meats combines fantastic food with great service. Sisu Sauna offers a broad range of relaxation services, including infrared saunas. Local Juice specializes in a wide variety of cold pressed juice and fresh, veggie-based food. A Chattanooga staple, the Hot Chocolatier specializes in hand-crafted artisan chocolates. Known for its coffee, Frothy Monkey also features a full-service bar and lunch and dinner menus. Taqueria Jalisco serves up traditional Mexican cuisine right on the Southside. Center MedSpa offers everything from massages to facials and pedicures just blocks from the Burnside. Family owned Bleu Fox Cheese Shop offers a broad array local, national, and global cheeses.